A solutions workshop is a creative, collaborative, problem-solving event that brings together diverse thinkers. The Census Solutions Workshop is specifically geared to generate new ways of communicating the importance of census data, reaching hard-to-count populations, and encouraging participation in Census Bureau surveys and programs. The workshop consists of a specific series of activities based on a design thinking methodology that help participants get to know each other, set ambitious goals, think outside the box, brainstorm with others, and quickly develop proposals for new solutions to engage communities in the census. This toolkit is a step-by-step guide to planning and running a successful Census Solutions Workshop. We designed this toolkit for any organization, company, or community group invested in getting out the count— and seeking creative collaborations and new ideas for doing so. A complete count ensures accurate census data that is critical for government programs, policies, and decision-making, but participation in Census Bureau surveys has declined in recent decades. 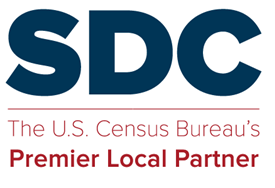 The Census Bureau has always relied on partners like you to help spread the word. We want to support you in coming up with innovative and engaging ways to reach your communities. * To subscribe to updates from this website, click the “Follow SDC Clearinghouse” button in the right-side sidebar.